In the section about modifying relative clauses, we learned how to treat a relative clause like an adjective to directly modify a noun. We will extend the functionality of relative clauses by learning how to perform an action on a relative clause. Obviously, we cannot simply attach the 「を」 particle to a relative clause because the 「を」 particle only applies to noun phrases. We need something to encapsulate the relative clause into a unit that we can perform actions on. This is done by making a quoted phrase. While in English, you can just add quotes and a comma to make a quotation, Japanese requires attaching 「と」 at the end of the quote. This is completely different from the 「と」 particle and the 「と」 conditional. Unlike quotes in English, we can perform many different types of actions on the quote besides the standard “he said”, “she said”, etc. For example, we can perform the action, “to think” or “to hear” to produce phrases such as, “I think [clause]” or “I heard [clause]” This is very important in Japanese because Japanese people seldom affirm definite statements. This is also why we will have to eventually cover many other types of grammar to express uncertainty or probability. We’ll learn the simplest type of quoted phrase, which is the direct quote. Basically, you are directly quoting something that was said. This is done by simply enclosing the statement in quotes, adding 「と」 and then inserting the appropriate verb. The most common verbs associated with a direct quote would be 「言う」 and 「聞く」 but you may use any verbs related to direct quotation such as: 「叫ぶ」, 「呼ぶ」, 「呟く」, etc. This type of quotation is often used for dialogue in novels and other narrative works. The verb does not need to be directly connected to the relative clause. As long as the verb that applies to the relative clause comes before any other verb, you can have any number of adjectives, adverbs or nouns in between. “Cold,” Alice said to Tanaka. The second type of quote is the quote along the lines of what someone actually said. It’s not a word-for-word quote. Since this is not a direct quote, no quotations are needed. You can also express thoughts as an interpreted quote as well. By using this and the verb 「思う」 you can say you think that something is so-and-so. You will hear Japanese people use this all the time. 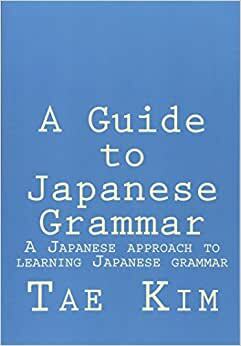 You can also use the verb 「考える」 when you are considering something. I heard from the teacher that there is no class today. Here are some examples of thoughts being used as quoted relative clauses. In example 2 below, the question marker is used with the volitional to insert an embedded question. I thought about setting out to eat curry but I didn’t have time to eat. Now, I’m considering where to set out to go. Unlike the direct quotation, which you can just copy as is, if the quoted relative clause is a state-of-being for a noun or na-adjective, you have to explicitly include the declarative 「だ」 to show this. What did he say this is? I heard that he is a high school student but I can’t believe it. Notice how 「だ」 was added to explicitly declare the state-of-being that is highlighted in the English translation. You can really see how important the 「だ」 is here by comparing the following two sentences. What did (he) say this is? You may be surprised to hear that there is a shorter and casual version of the quoted relative clause since it’s already only one hiragana character, 「と」. However, the important point here is that by using this casual shortcut, you can drop the rest of the sentence and hope your audience can understand everything from context. Tomoko said that she’s going overseas next year. I already told you I have no money. I heard you don’t have time now, is that true? You don’t have time now (I heard), is that true? 「って」 can also be used to talk about practically anything, not just to quote something that was said. You can hear 「って」 being used just about everywhere in casual speech. Most of the time it is used in place of the 「は」 particle to simply bring up a topic. About tomorrow, I hear that it’s going to rain. About Alice, she’s a very good person, right?